For families with young children, the Guidecraft High Rise Step-Up is an excellent addition to help them get to areas that are hard to reach. My children are ages 7, 5 and 4 and they have used a stepping stool that my husband made in a woodworking class. 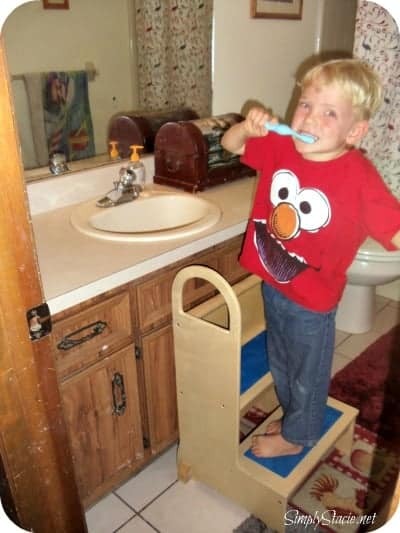 While it worked great in the bathroom, it wasn’t high enough for them to use when helping me in the kitchen or in any other hard to reach areas of the house. 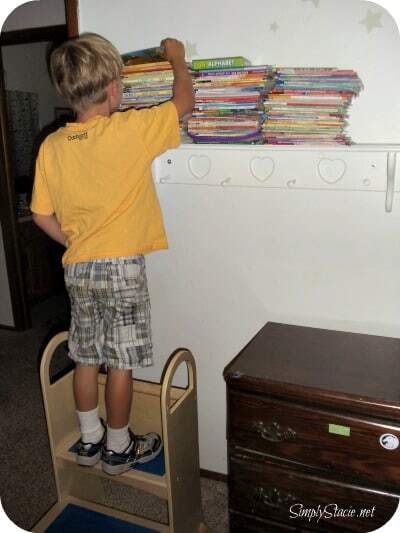 The Guidecraft High Rise Step-Up is the perfect height for them to stand safely and comfortably at just the right level in the kitchen, bathroom and even when they need to reach something from their closet or book shelf. Guidecraft consistently creates well-made, high quality wooden furniture and this piece is no exception. It is constructed from birch plywood which is a big plus for my husband who enjoys woodworking as a hobby and commented that it is “very nicely crafted”. 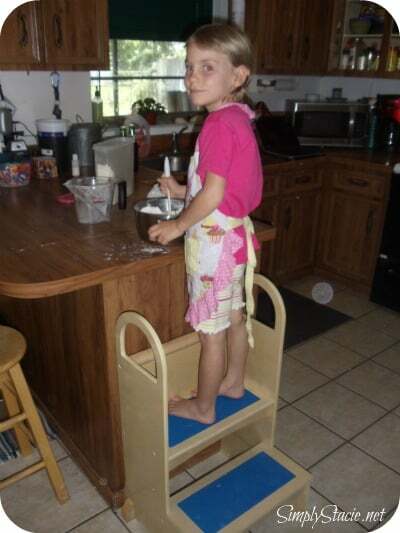 It is quite sturdy with textured, no-slip stair grips so I feel more confident when my children are using it that they are standing safely as opposed to perching precariously on an unstable stool. The hand holds are a nice feature that helps the children climb up and down and the natural coloring of the wood makes it a lovely neutral piece in the home or classroom. I like that it is not bulky and it is easy to move around from place to place or store when not in use. It can also double as a seat for the child to use when they are not stepping on it. This is such a useful piece of children’s furniture that can be used for many different purposes. You can purchase the Guidecraft High Rise Step-Up for only $120 and it is just the type of heirloom style furniture that we would keep in our attic once it is outgrown to save for our future grandchildren. As part of the Guidecraft Educator’s Blogger Team, we are honored to be able to introduce you to other great bloggers and give you the opportunity to win a Guidecraft High Rise Step-Up! You are invited to visit our blog team member, Planet Weidknecht to enter the giveaway for this fantastic prize from Guidecraft!